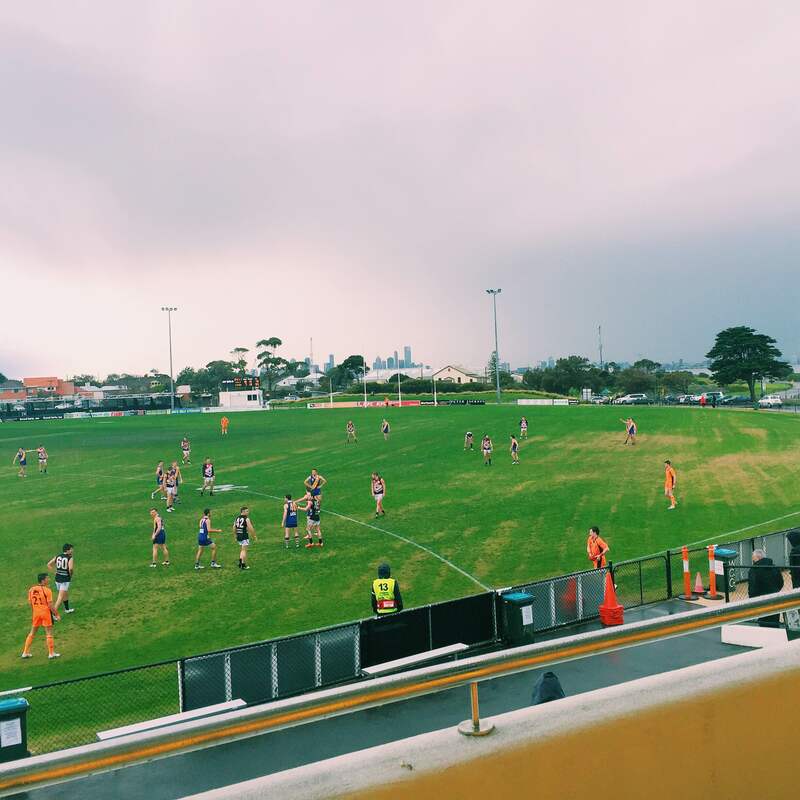 The Williamstown Seagulls won their third straight game to return to the top of the Victorian Football League ladder. A 107-point victory over the winless Frankston Dolphins served as a great opportunity for the side to flex their muscle. 1. Dominance amid pressure – It’s tough to imagine a team that racks up 107-point win being dominated but that’s exactly what happened on Saturday. Frankston dominated the second half of the second quarter, and time on in both the third and fourth quarters. Despite their dominance the Dolphins were only able to put five goals on the Seagulls in that period. What the Seagulls did while under pressure was absorb the Frankston pressure by not allowing them to have a free man. Not only did this limit the Frankston scoring but it also enabled the Seagulls to reduce the amount of time the Dolphins dominated through creating turnovers. 2. Goals, Goals, Goals – 21 goals and seven multiple goalkickers. Conway and Marcon (4), Casley, Anistasio, Masters, Gallucci and Monk (2) showed why the rest of the VFL should be wary of facing the high-flying Seagulls. Gibbons, Dunell, Meese and Jolley all went goalless. When factoring in the ability they can have in front of goal, one thing is for sure – The Seagulls prolific scoring is going to continue for the remainder of 2015. 3. Exploiting the opposition – With no disrespect to the opponent, the gap between the two sides on Saturday was likely to be the biggest you’ll see in a VFL clash this year. The gulf in ability between the two sides showed from the first bounce, allowing the Seagulls to set the tone for the afternoon in the early stages of the clash. The Seagulls were faster, more skillful and showed greater composure when pressure was applied. At the end of the day that was the difference between the two teams. 4. Eyes on the scoreboard – As well as hoping for a percentage boosting win (which occurred), there was one eye on the scoreboard at Box Hill. The Hawks (who have a game in hand) were locked in a tight contest with North Ballarat, and a win to the Roosters would shake up the finals picture. Box Hill prevailed with a goal after the siren, but have shown in the process they are not invincible. With the bye this weekend all eyes will be on the Coburg and Box Hill clash on Saturday afternoon – A win for Box Hill and the minor premiership could come down to the clash between the two sides on the last weekend of the season, while a loss gives the advantage to the Seagulls as they enter the home stretch. This entry was posted in Published on xavierplayer.com, Written and tagged Victorian Football League, Williamstown Seagulls. Bookmark the permalink.